Dieynabou is interested in the intersection of climate change impacts, social justice, and women and girls’ rights in West Africa. She believes that environmental issues are intertwined with other systems of inequality such as racism and gender oppression, and we cannot adequately address environmental issues without considering these other systems. In her academic and professional work, Dieynabou aims to bring marginalized voices to the center of conversations regarding environmental issues such as climate change mitigation and adaptation policy and energy access solutions. She believes that only with these voices can we create sustainable and viable environmental solutions. People of color make up about 16 percent of the workforce in an environmental organization. In addition, according to a report by Environmental Justice hero Dorceta Taylor, employees from diverse backgrounds believe the dominant culture of environmental organizations is alienating to ethnic minorities, the poor, the LGBTQ community, and others outside the mainstream. This blog attempts to reclaim the environmental space by bringing these marginalized voices to the center of dialogue and action. 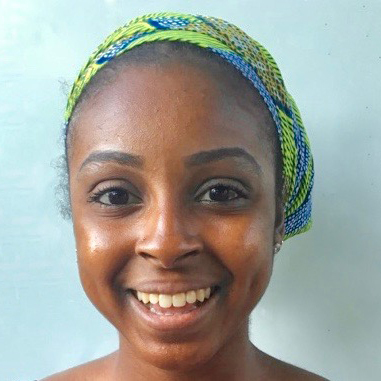 In Reclamation: Taking Up Space, Dieynabou will write about her experience at the Nicholas School as she carves out a place for her passions and interests in diversity, equity, and inclusion, international development, and social justice in the environmental field.